If you have never crossed a bridge that would give you shiver while crossings, then you need to think again because there are some of the scariest bridges across the world resting upon cavernous trenches and garrulous waters. Discovering these natural wonders, these bridges have become the representation of adventure and the desire to explore and cross becomes more. Below are some of the bridges whose crossing would make you think twice before crossing. Located in the village of Hussaini in Northern Pakistan, the bridge is the cause of the lack of technology but is considered as the beauty of Pakistan. Crossing the Hunza River, the bridge has lots of blank space in between making you to think twice before setting your next foot moreover the huge gaps amidst the steps make it scarier to cross. 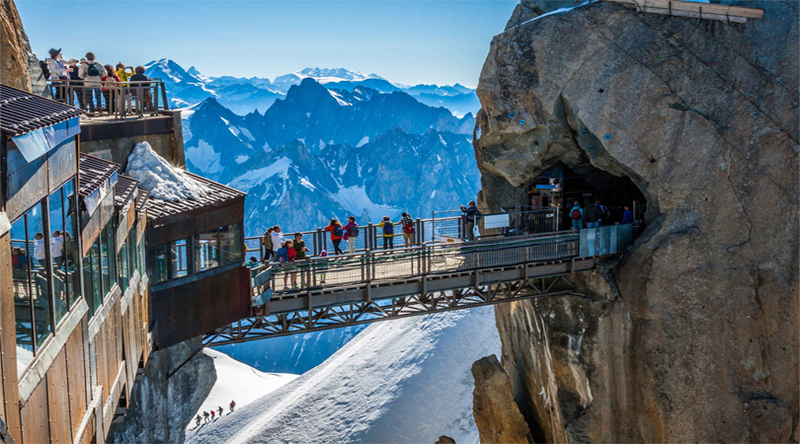 Located in France, the bridge of Aiguille du Midi is among the scariest bridges of the world. The bridge is 12,605 feet above the sea level where it is highly advised to not look down while crossing. For passing through the bridge, you need to take a cable car that climbs 9,200 vertical feet in just 20 minutes. 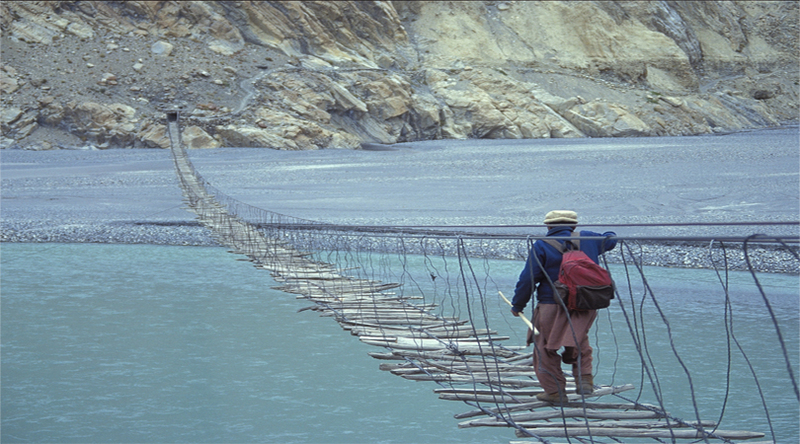 Located at Trift Glacier, the suspension bridge of 328 feet high from the sea level, the bridge is difficult to cross. What makes the suspension bridge more intimidating is the fact that it’s about 558 feet long in distance. 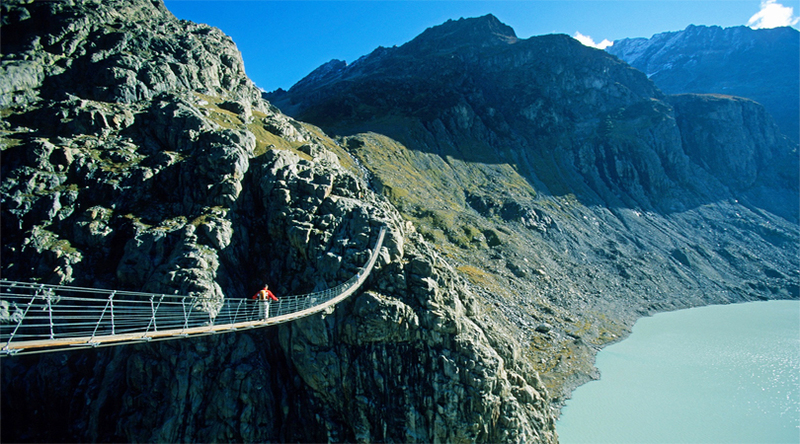 The bridge was constructed in 2004 to reconnect hikers to a hut which was earlier inaccessible to reach because of a retreating glacier. 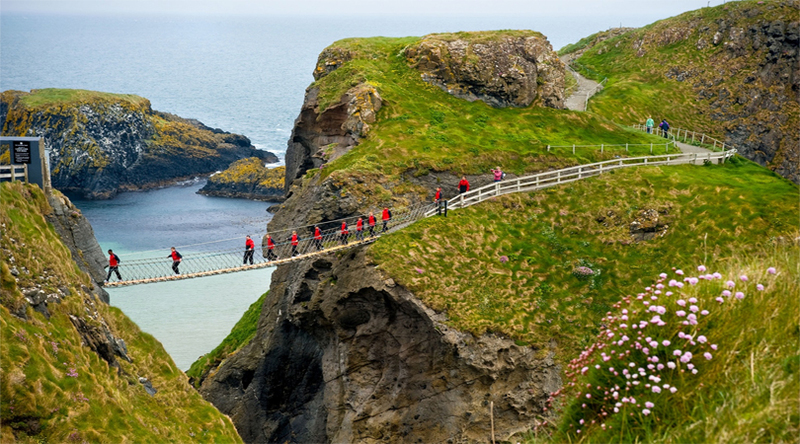 Located near Ballintoy in country Antrim of Northern Ireland, the bridge is the most risky bridge in the world. About the 65 feet long and 100 feet above the rocks, this bridge is worth taking the risk factor. Though none has fallen from the bridge but yes the studies also display that whoever passes through cannot return back by the same bridge and they have to go take a boat. Situated on 450 feet of length and 230 feet of height, the bridge is not for the one who gets scared easily. 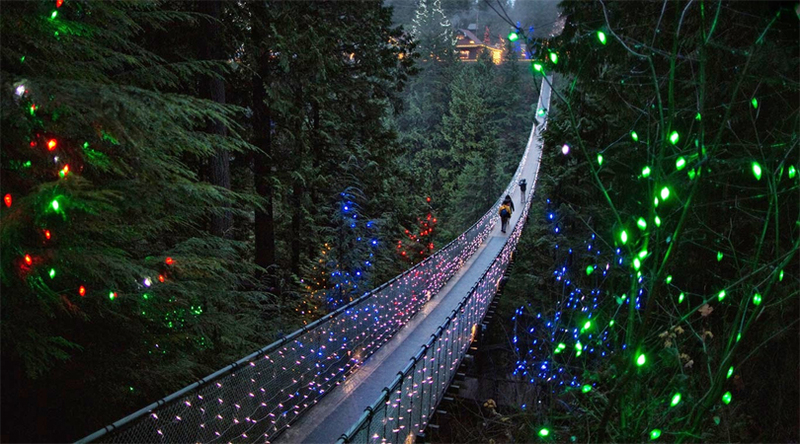 The Capilano Suspension bridge is located in North Vancouver is narrow, high and extremely shaky. The Bridge is surrounded by the lush green beauty of forest and was constructed in 1889. Situated in the town of Ojuelain Mexico, Puente de Ojuela is made up of wood which is not a strong base to cross and make it more dangerous. It is about 1,043 feet long, 2 feet broad and about 360 feet over the sea level. The place has steel cables which were initiated for bringing the feeling of safety. 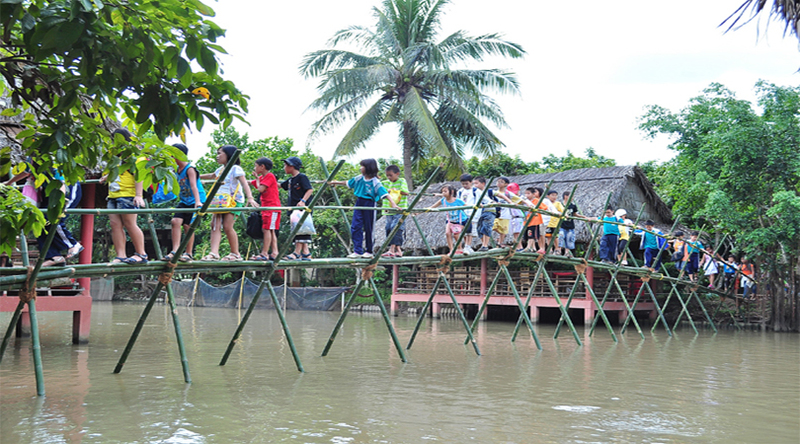 While crossing the bridge, avoid looking down as it might make you not go further. 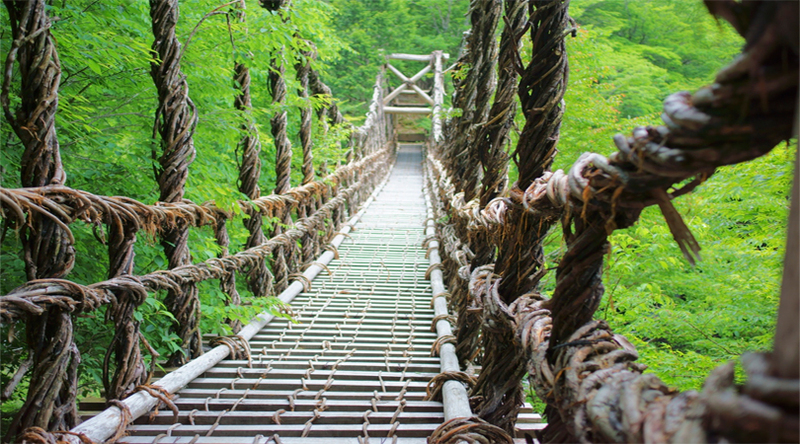 Bridges that are typically made of single bamboo log and one handrail and the name which comes from the monkey like structures you had to make while crossing the pathway. They might not look that scary but their shaky nature might let you plunge into the river below. 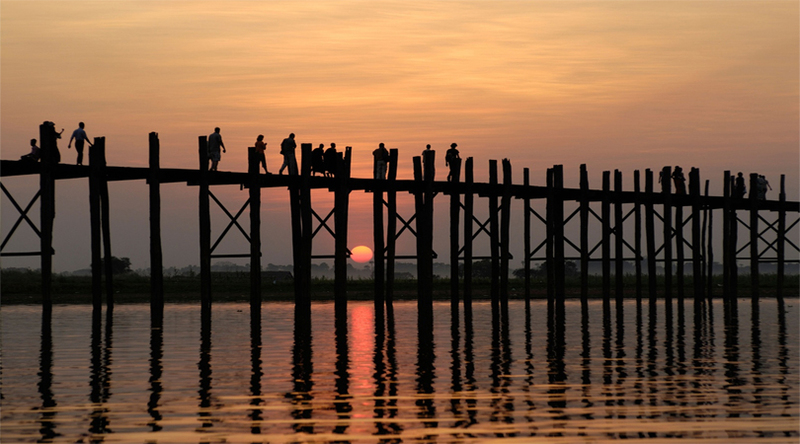 This bridge is located across the Mekong Delta at the southern tip of Vietnam. 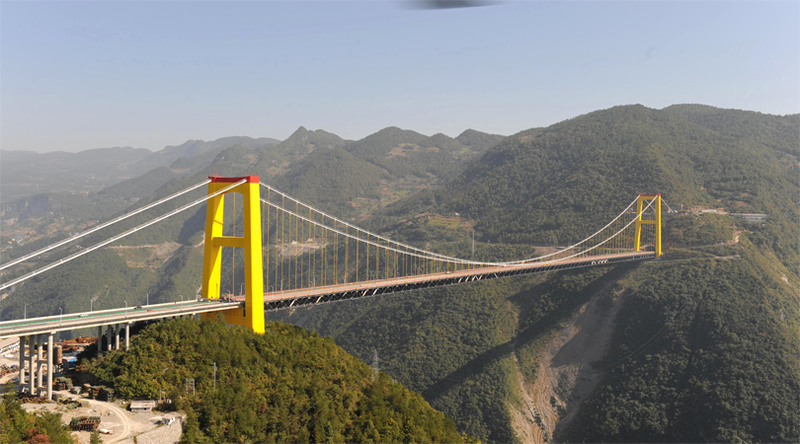 This bridge is sited tall above the river George in China. This bridge is about 1,550 feet above from the surface level. 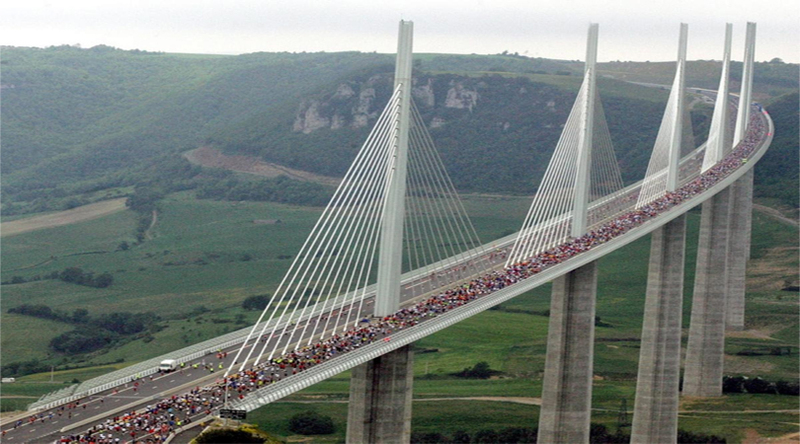 Opened in 2009, it is the world’s highest bridge having the total altitude of 1,550 feet. Situated over the Iya-gawa River Japan, the bridge is 148 feet long and is about 46 feet high constructed earlier with the steps made from wood, but later got equipped with wire and hand rails. The lush green surrounding around though makes it a beautiful bridge to pass by yet it still has its own levels of danger. 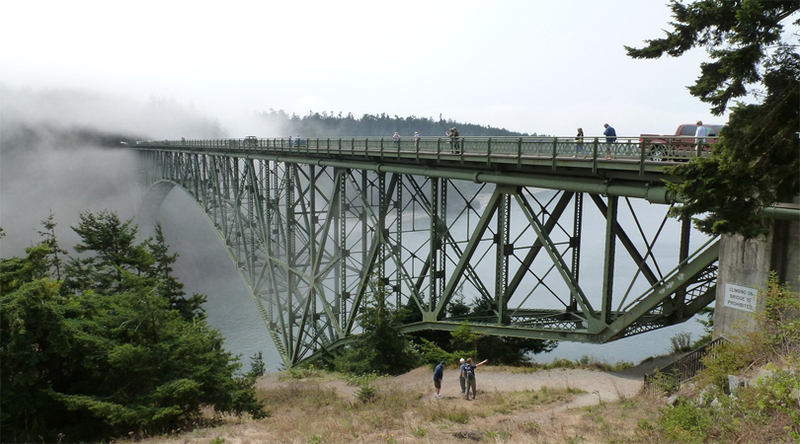 This bridge is placed in Deception Pass State Park, Washington and is 1,486 feet long and is about 180 feet above the water level. As one of the most dangerous bridges of the world, the view of the water rushing directly below from this bridge makes the view quite illusory. The U pain bridge is 15 feet high and about miles long situated in the Mandalay, Myanmar. With more than 1,000 wooden steps to cross having four to five feet distance between each step makes it into the list of dangerous bridges to cross. 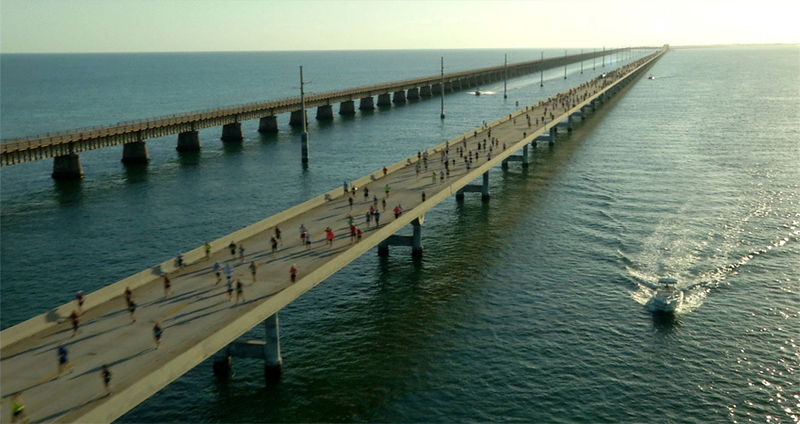 Located in Florida, Seven Mile Bridge is about 7 miles and is 65 feet high. Sited before lot of hurricanes that keeps on hitting the area, the bridge signifies strength and is another one of the dangerous bridges you cannot walk without shivers. 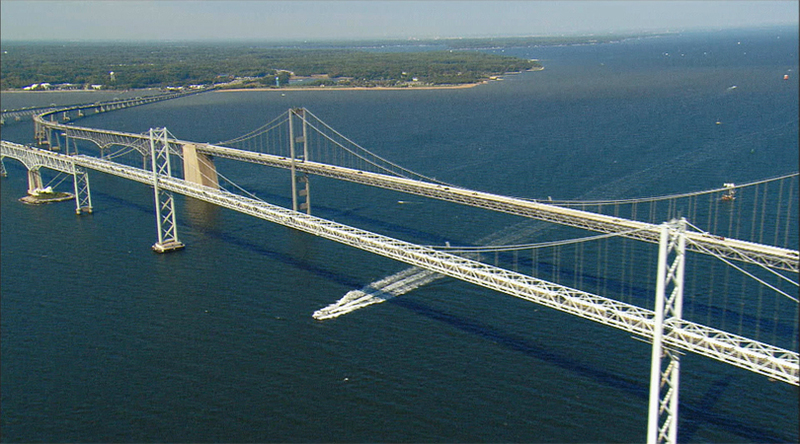 The bridge of Maryland is such that even many drivers think before riding over the bridge as many times. Surrounded by water, the bridge is famous for experiencing severe storms because of the bad weather conditions. Moreover, it becomes very tough to see anything as the visibility comes down to zero. 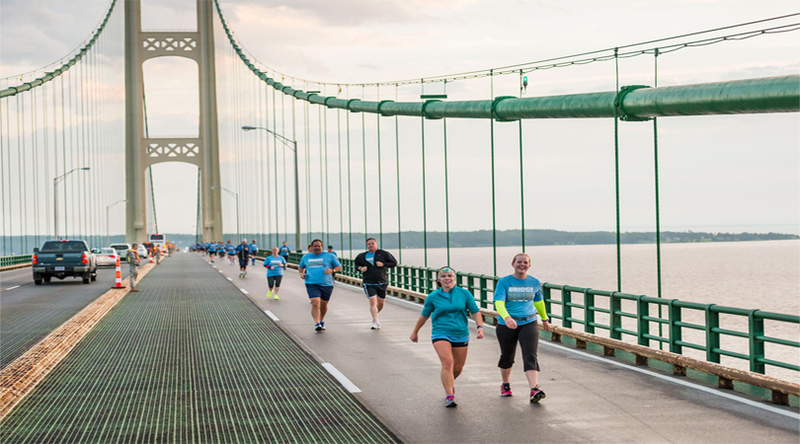 The beautiful bridge of Michigan, constructed over the sea is among the most intimidating bridges in the world where driving over the path, even the drivers get nervous for crossing the length of five mile with a wind exceeding 30 miles per hour on the bridge. Considering all of it, the authorities of Michigan provide free driving services by their experts’ drivers. 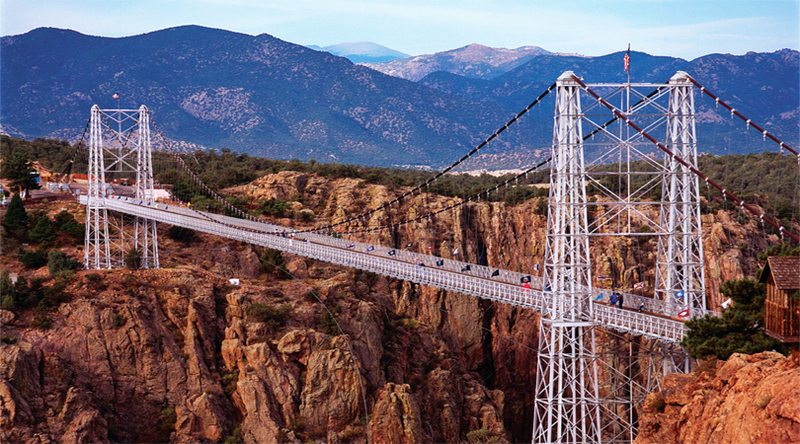 Standing as one of the America’s highest suspension bridge, royal George Bridge is located around 969 feet above sea level and 1,260 feet long. What makes the place scarier is the fact of it not having stabilizing wind cables, which might make sure shiver while crossing over the river.